Bb Clarinet. Arranged by Michael Sweeney. Concert Band Method. Hal Leonard Essential Elements Band Method. Broadway. Clarinet solo songbook (no accompaniment, softcover). 24 pages. Published by Hal Leonard (HL.860038). A collection of Broadway songs arranged to be played by either full band or by individual soloists with optional accompaniment CD or tape (sold separately). 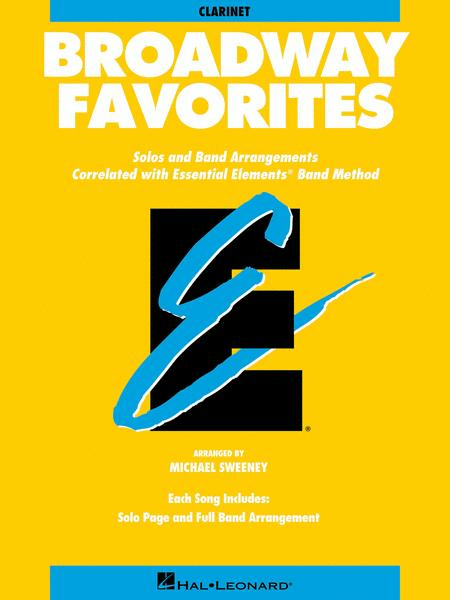 Each arrangement is correlated with a specific page in the Essential Elements Band Method Books.